In 1950, China invaded Tibet. Tibet is still occupied, and its people are losing their culture, language, and traditions. In 1959, the 14th Dalai Lama, the leader of Tibet's predominant religion - Buddhism - left his country behind to find asylum in India. Tibetans followed their leader and found exile in countries like India, Nepal, and Bhutan. According to the 2009 census, 128,000 Tibetans were living in exile, with most of them - more than 94,000 - living in India. Yeshi Lundhup went to India as a young boy to find refuge. After finishing his studies, which were subsidized by the Tibetan government, he decided it was time to give back to his community. "I realized Tibetan refugees' biggest challenge is the language barrier...their world is only our small Tibetan community, so they have the challenge to survive outside. Also, the Tibetans have the difficulty to preserve and promote our precious culture", explained Lundhup. In 2013, Lundhup founded Tibet World. Located in Dharamshala of northwest India, Tibet World works as a non-governmental organization and Tibetan community center. Not far from the Dalai Lama's residence, the organization works to support Tibetan refugees, and people from various countries, through education and skills training, while endorsing the Tibetan culture and values. "Tibet World is a platform where Tibet meets the world, and the world meets Tibet," said Lundhup. Back in 2013, the language classes were given in a small room. After one month, the number of students and volunteers grew up to the point that Lundhup had to open a small office and a small classroom. After another month, they already had three classrooms to accommodate all the new students. In 2014, they moved to another place with six classrooms, community halls, a small cafe and a hostel. 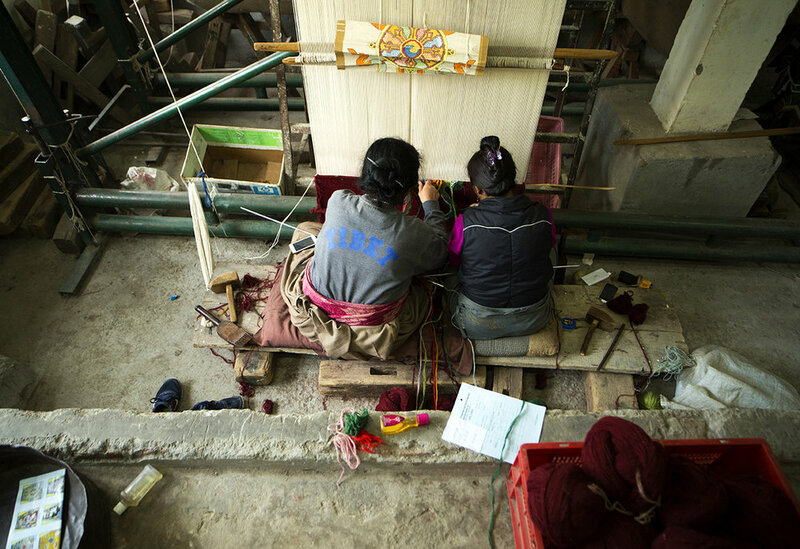 According to Lundhup, one of the goals of the organization with the growth is to provide more job opportunities for Tibetans. "Until now we have a permanent of seven staff members and six part-time jobs. But if Tibet World grows up, we can give more job opportunities to the Tibetan communities". The organization provides international language classes and activities like a Tibetan folk show, yoga and meditation classes, workshops and talks about Buddhism, philosophy and politics, and local cultural walking tours. More than 405 students pay the equivalent of around six dollars per year to attend as many classes as they like. Over the past five years, more than 2000 students have received education from Tibet World, and over 1000 international volunteers from 44 countries have participated in organizing cultural events. Lundhup calls Tibetan culture as "the compassion culture." He says that in the 21st century, we need to be more compassionate toward each other. "Our world is one family. If one person loses their culture, we lose in our culture. Tibetan culture can contribute to a more peaceful and happy world. So, everyone, please help us to preserve and promote our culture, because Tibet needs the world and the world needs Tibet", said Lundhup. Tibet World currently has many open volunteer opportunities. To know more, or to support their work, please click here.